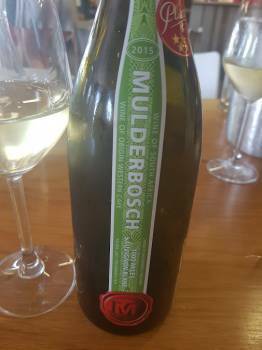 The 1000 Miles Sauvignon Blanc 2015 from Mulderbosch is one of the most compelling examples of this variety I’ve drunk recently. Including grapes from Stellenbosch, Elgin and Piekenierskloof, fermentation occurred in tank before maturation lasting 15 months in neutral 500-litre barrels. On the nose, there’s a prominent black currant note as well as lime, floral perfume, fynbos and the merest hint of reduction. The palate shows great fruit concentration but also a cracking line of acidity. Powerful but composed, the finish is long and savoury – slightly salty, slightly peppery. Port2Port price: R240 a bottle.